It’s official! Spring is here and sunny weather is on the way, and that means we’ll all be breaking out the shorts, sleeveless shirts, and swimsuits in anticipation of summer very soon. Soaking up the sun is one of the best parts about summer, but as the Skin Cancer Foundation reminds us, the sun can damage our skin even with just short exposures each day. 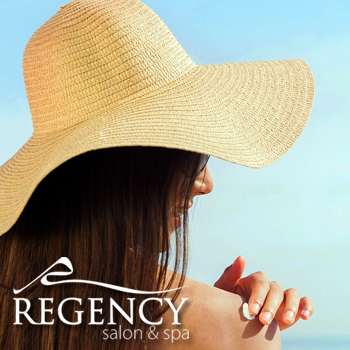 UVA and UVB rays from the sun can damage your skin even if you don’t burn. Sunburn is an immediate result of too much sun, but sun damage occurs incrementally every day, even when you don’t notice it. Sunscreen helps prevent that damage by blocking harmful rays. Choose a sunscreen of at least SPF 30. People with sensitive skin and those who have had skin cancer or pre-cancer should opt for a higher SPF. Reapply sunscreen every two hours. Even products marketed to last all day will become less effective over time. Reapply every two hours, or every hour if you are swimming or sweating a lot. Limit the time you spend in the sun between 10:00 and 4:00. The sun’s rays are strongest when it is high in the sky, so sun damage is most likely to occur in the middle of the day. Look for shade or cover up if you must be outside during these times. Know your medications and skin care products. Certain medications, cleansers, and even perfumes can make your skin more sensitive and prone to sun damage. If you think that may be the case with a product you are using, talk to a doctor or dermatologist about alternative options. It’s also important to apply sunscreen under your makeup each day. Don’t forget your eyes! UV rays can harm your eyes as well, so don’t forget to grab your sunglasses (and make sure they provide 100% UV protection) before heading out the door. We can’t wait for warmer weather and all of its sun-soaked activities. 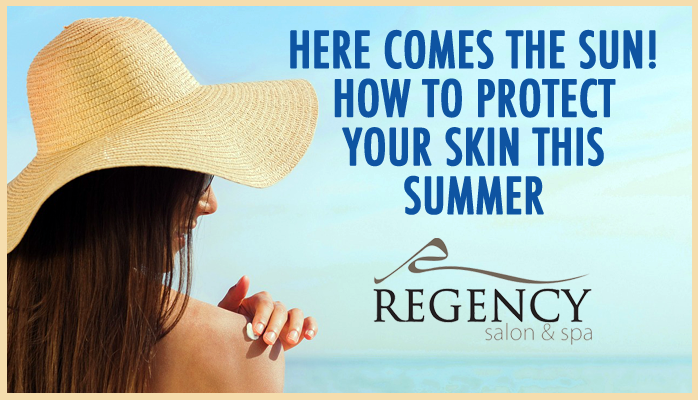 With the right sun protection in place, we can enjoy the best summer has to offer without damaging our skin. Bring it on! !